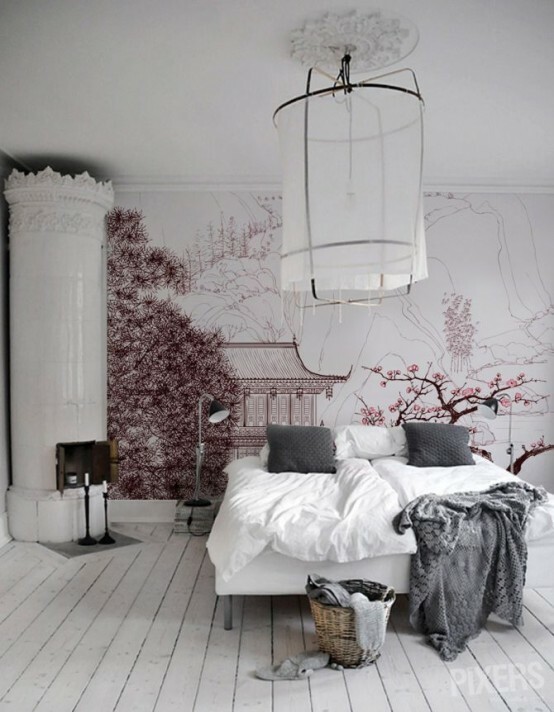 Go Zen - Cherry blossom inspired interiors. As predicted in this months UK Elle decoration ( number 307, march 2018). The trend for soft dusky pastel tones for the home continues apace. Say the word "pastel" and for some it might conjure up a series of stereotypes of 1980s style interiors a la Dynasty. However, pastels have re-emerged as a bright, airy, calming option. A modern take on this colour palette is to ‘ground’ these airy tones with harder materials such as concrete or smoked glass. A new slant on this trend is a nod towards Japanese interiors. The calming effect of the colour tones gives an air of tranquilty and the delicate colours of peach blossoms are the perfect starting point to inspire soft furnishings and room colour palettes. Cherry blossom ( sakura) season in Japan is in April so it’s the perfect time to start getting ready for for the beauty and freshness of Spring time after a long dark winter. Using our faux cherry blossom stems you can immediately as a light delicacy to interiors. 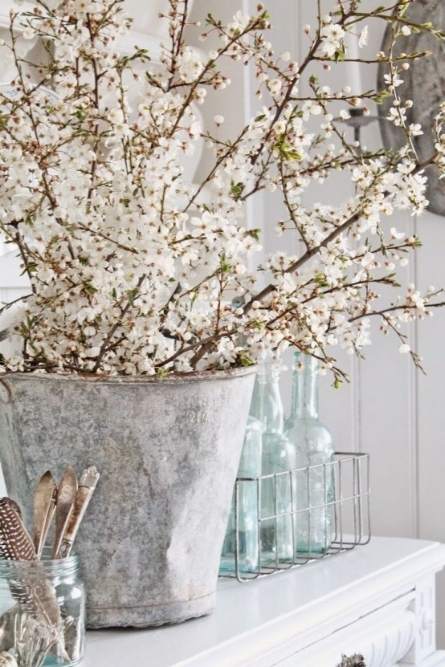 The beauty of the faux blossom is that you only need a few stems. Place either in a clear vase or concrete or metallic planter for a modern take on the trend. Go faux - the 'Fake it' faux cherry blossom stem is available in pale pink or white. It brings a soft nod to springtime into your home. The humble pot plant gets its moment of glory.